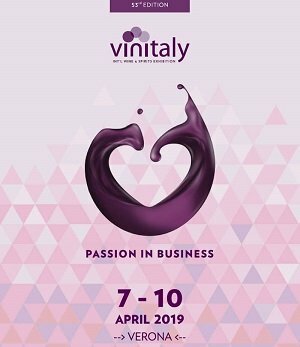 Even this year, we will participate at Vinitaly. From 7th to 10th April, we will be present at the 53rd edition of the historical fair of Verona, the biggest international wine and spirit exhibition which counts, this year, more than 4000 exhibitors and about 150,000 estimated visitors. As every year producers, importers, technicians, restaurateurs, journalists and opinion leaders meet at the prestigious VeronaFiere trade-show to know more and discover new market trends and innovations and to create new business opportunities. For us, this is a great opportunity to meet the main national and international operators with whom we love to compare ourselves to understand how to grow together in a path of continuous improvement. We look forward to seeing you at our stand to taste and discover all Bottega’s products. The protagonists will be this year news starting from the sparkling wines, for which we are famous and loved all over the world, but also liqueurs, a category for which we will present products that follow the main taste current trends. We can’t reveal anything yet, but we’ll have important news in each of these categories. Our Prosecco DOC and DOCG cannot miss, including Bottega Prosecco Gold and Il Vino dei Poeti Prosecco Doc Brut,the great red wines of Valpolicella and Montalcino, our range of grappas and liqueurs and gin. We are at hall 5 – Booth C7.